With so many technical issues today I was unable to write about this earlier so perhaps it's been blogged ad nauseum by now but I have to say a little something anyway. 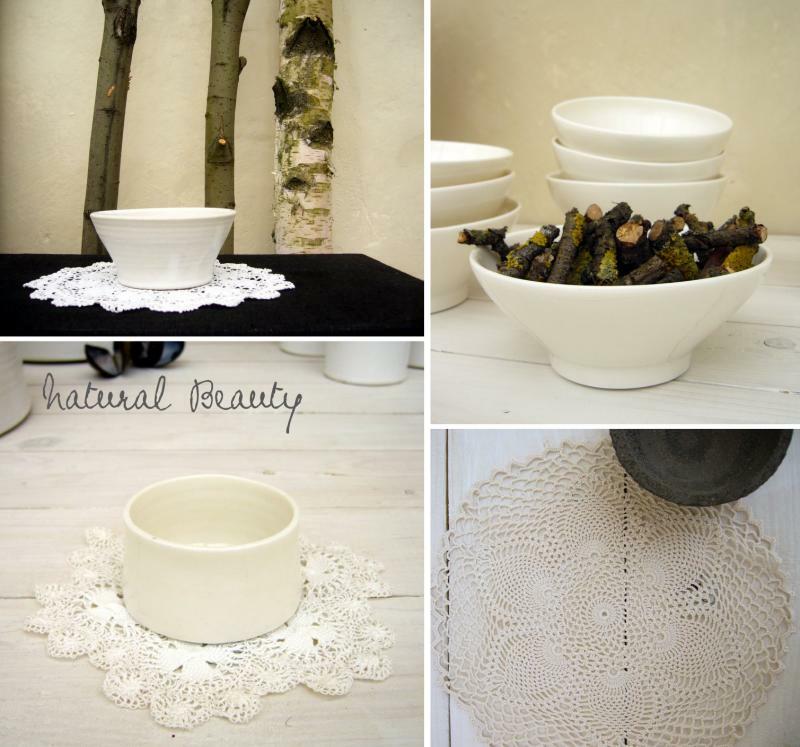 I'll add a twist to make it more interesting just in case you have heard about Swedish ceramicist Karin Eriksson's new products on other blogs today. 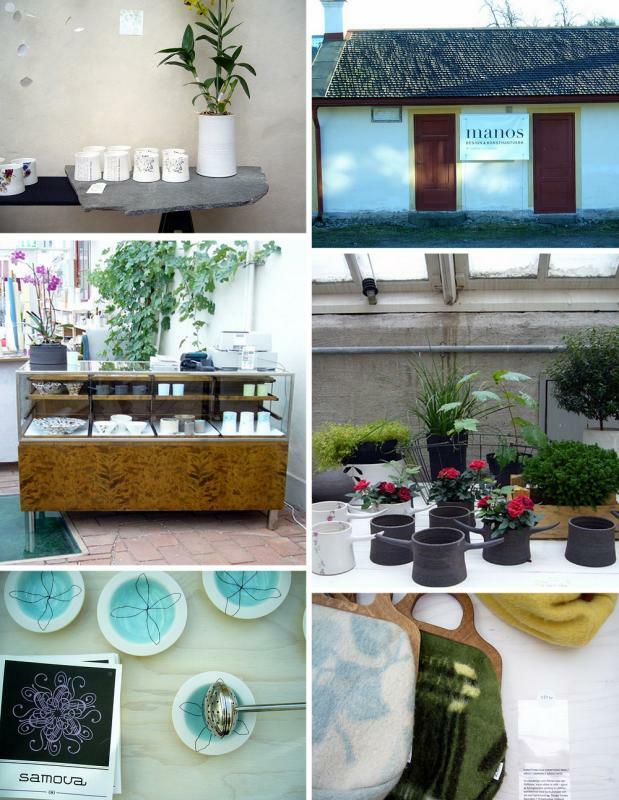 I've decided to highlight her art studio and retail space located at a charming country space just outside of Stockholm. It's very transporting, I'm sure you'd love to visit. Here's a glimpse of some of her new products available in the online version of her retail shop Manos. But there's more... 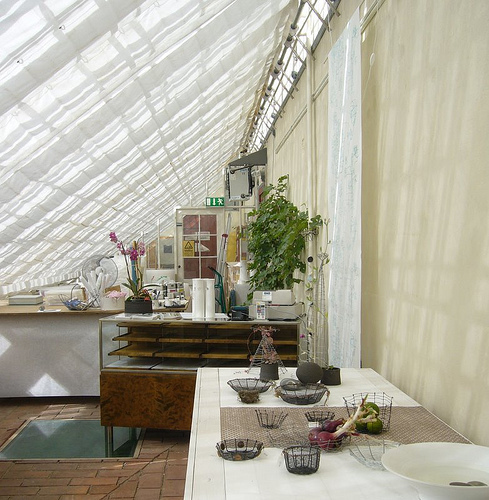 If you ever find yourself visiting Sweden, Karin has a brick and mortar store which doubles as her work studio in an old glasshouse near Stockholm in the countryside. It is located within the Överjärva country estate in Solna. I would love to visit Stockholm again and see the Överjärva estate for myself because, imagine this... it has a cafe with fresh baked goods, environmental trails, farm animals, courses in sheep-farming and wool craft, and a stable with horses and ponies for hire. There is also an antiques shop, compost center, weekend events for all ages, and so much more. I love the concept -- being surrounded by nature, comfort food, enjoying the animals, and visiting a few lovely shops for inspiration and an introduction to new things. Karin's shop, Manos, must be a lovely addition to the whole Överjärva experience. I imagine Överjärva to be a little bit like the Rosendal Garden Kafe in the Djurgarden, a most beautiful place in the center of Stockholm that I'll never forget. 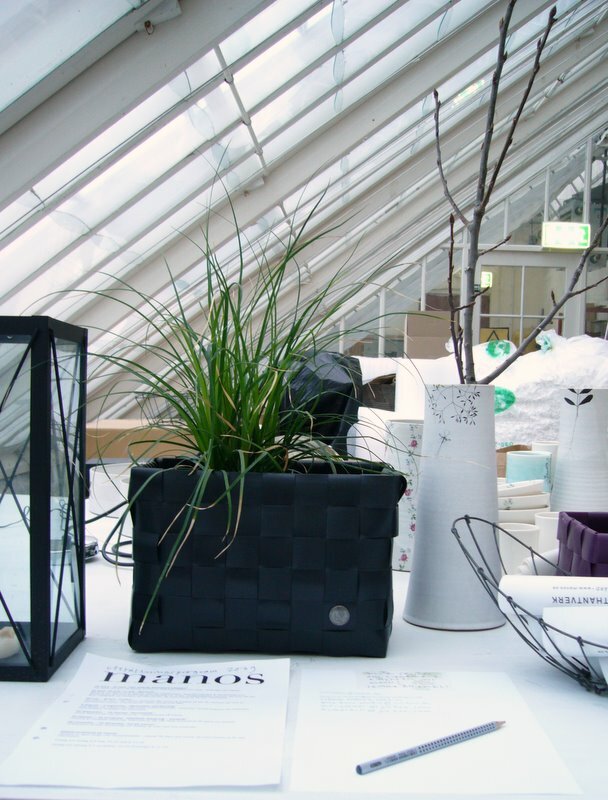 In addition to Karin's work, Manos carries a selection of handmade objects from Sweden and abroad. I notice she even stocks the fantastic German tea Samova from Hamburg, I had a chance to visit their shop in the Stilwerk in '06 and really liked the tea and the cafe experience. My husband would love Överjärva, maybe we can visit this summer. :) Manos is open Thursday-Sunday 11-3 pm. Closed in July.